One way to get to know a city is by eating its food. In Honolulu, sugarcane and pineapple production forever changed not only the islands’ ethnic makeup, but (inevitably) what we eat. From traditional Hawaiian food, to plate lunches, to Hawaiian regional cuisine, the islands developed an eclectic mix of foods that can be found nowhere else in the world. The best way to experience said mix is at the 17 places on our list of Honolulu’s most important eateries, which aren’t necessarily the best, the coolest, or the fanciest, but have made a serious impact on Oahu’s food scene. 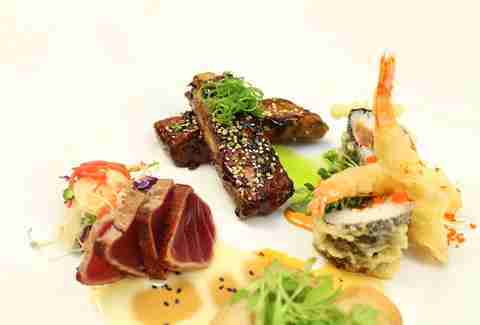 Try any (or all) of these restaurants, and discover why Honolulu is a beautiful (and delicious) melting pot of cultures. If you’re looking for traditional local comfort food without the touristy luau fanfare, head to this island favorite, where marinated pipikaula hang-dries over the stove and is grilled to order. Open 13 years before statehood, this family-operated eatery won a James Beard Foundation Award in 2000 for regional cuisine, a special designation that best reflects quality food, history and the character of the community. Owner Helen Chock worked behind the stove everyday, chopping, grilling and serving the traditional menu, until she passed away in 2007. 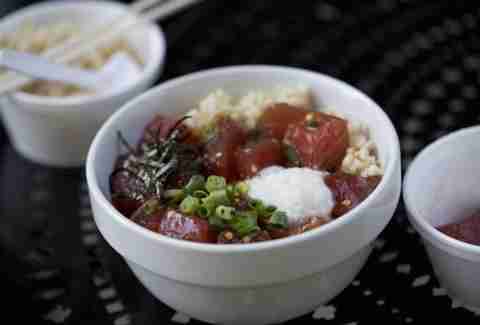 Now run by her grandson Craig Katsuyoshi, the simple eatery still retains its classic flavors, and the fresh poi and juicy kalua pork (slow cooked smoked pork) are so good you’ll forget about coconut bra-wearing hula dancers and shirtless flame throwers forever. Well, almost. Growing up in Hawaii, locals may remember the neighborhood manapua man, usually driving around in a nondescript white van, peddling his savory steamed buns along with baggies of fried noodles, pork hash, canned juice, and cheap Asian candy. 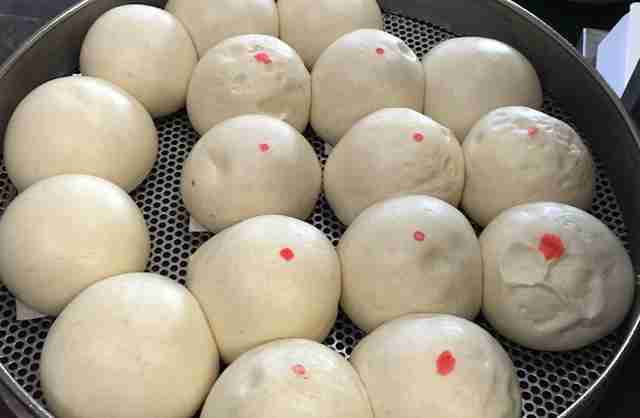 But before the manapua man roamed the streets, Bat Moi Kam Mau’s Chinatown eatery supersized the traditionally palm-sized char siu bao into the softball-sized, shredded-pork-filled steamed buns we know today. This Chinatown institution is takeout only, so grab a friend and have them drive around the block while you get your fresh dim sum fix. Since you can still get full off of your childhood-equivalent allowance, you can order two or three of everything off the menu without breaking your piggy bank. 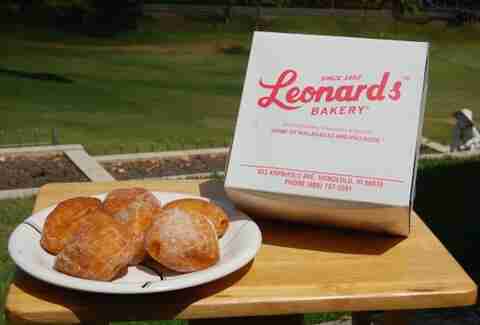 Though the malasada recipe had arrived with Portuguese laborers in the late 19th century, the crispy treats didn’t gain popularity until 1946, when Leonard Rego began selling the “Portuguese Doughnut” in Honolulu on Fat Tuesday, or better known as Malasada Day in the islands. Deep fried and rolled in sugar, these warm, no-hole doughnuts are crispy on the outside and soft and fluffy on the inside, often filled with cream, haupia, guava, or dobash. With malasadamobiles stationed all around the island, you can avoid the lines at the original location and make any day a malasada day. When eating a bowl of saimin, you’re really slurping up plantation-era history with your island-style comfort food. 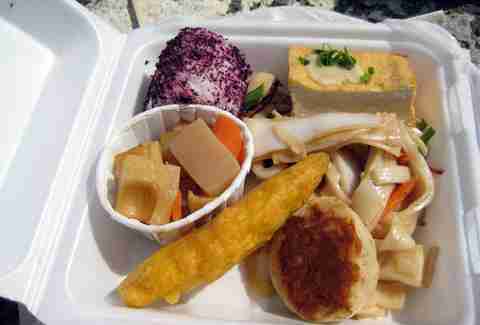 Created on the plantations fields, Hawaii’s version of saimin was a communal meal, made almost like stone soup (minus the stone) with laborers throwing any available ingredients -- green onions, kamaboko (fishcake), eggs, etc. -- into a pot with noodles. 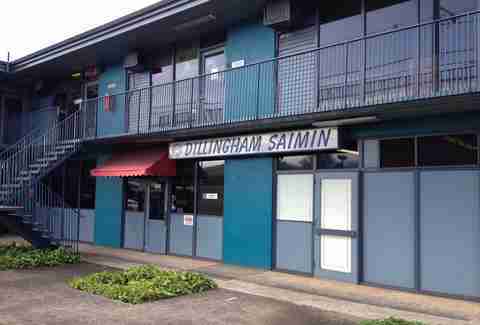 Local folklore says that Boulevard Saimin (recently renamed Dillingham Saimin) was one of the two saimin shops that convinced a McDonald’s executive to put an ethnic dish on the menu for the first time, ever. While ownership may have changed, this mom-and-pop shop retains its local flavors and is one of the last few original neighborhood saimin shops. Stop by for a bowl of warm noodle soup and listen to regulars reminisce about the good old days. As organically as saimin was created, so too was the plate lunch birthed. Workers who immigrated from across the globe to work in plantation fields came together for lunch to replenish their energy after burning thousands of calories toiling in the sugarcane fields. Scoops of rice paired with leftover meat were packed for lunch in compartmental tins, much like the Japanese bento. When the plantation era faded, the plate lunch stayed, adding on a healthy scoop of macaroni salad. 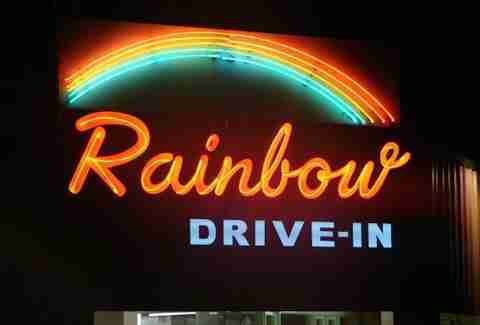 In the 1960s, this open-air eatery opened its doors, serving up generous plate lunches, burgers, and hot dogs. Make like the surfers do, and refuel with teri burgers or a mixed plate of barbecue chicken and battered mahi mahi, served with two scoops of rice and mac salad. Extra gravy is available to pour over your meal at your leisure. The plate lunches, like anything starchy and gluttonous, are not for the meek or the carb-conscious. Initially intending to open a car wash, the Higa brothers (despite having no restaurant experience) opened their first 24-hour drive-in in McCully, serving island favorites as well as their famous original chili. Today, the family-friendly eatery has over 23 locations statewide, including a casual dining area, drive-in, bakery, and sushi counters, and it sells over 110 tons of chili per month. In 2005, when Hawaii celebrated 100 years of statehood, then-Mayor Mufi Hanneman honored Charles Higa as one of the 100 island notables who made long-lasting contributions to the city. When you make Zippy’s your next stop, order a Zip Pac, a bento filled with fried fish, teri beef, fish, and Spam, served with white rice and furikake, and try to imagine Hawaii’s food landscape without this local fast-food chain. Despite its name, this walk-up restaurant serves teriyaki burgers rather than the traditional tomato or vinegar-based marinade. Open the same year as McDonald’s, this small eatery is one of the island’s longest-running burger houses, and kept up with the big chains by preserving its signature flame-broiled burgers and teriyaki beef sandwiches, soaked with the same secret sauce Wilfred and Mary Kawamura concocted 75 years ago. Rather than updating the menu to compete with modern gourmet burger shops, the mom-and-pop shop maintains the same five menu items that have kept families coming back for generations. Open in 1939, Honolulu’s longest-running okazuya and catering company has stood the test of time, offering longtime local and Japanese classics like shoyu pork and namasu, as well as newer, modern options like mochiko chicken and ahi burgers. Japanese for “food with rice shop,” okazuya in Hawaii includes island favorites like fried noodles, shoyu chicken, and shrimp tempura, so you can build your own bento. Everything is made fresh daily and served ala carte, which means once the Spam musubi, shrimp tempura, or shoyu chicken is gone, you’re out of luck. 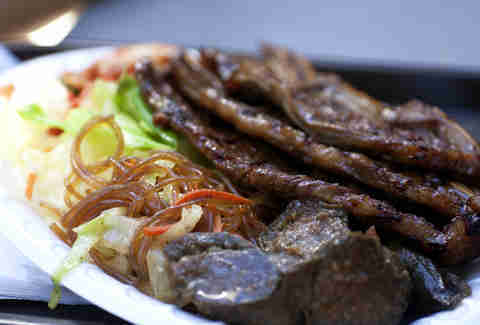 One of the first Korean barbecue take-out restaurants on the island, this local fast food chain serves large, American-sized portions, plate-lunch-style, offering Korean dishes with an island twist. Though many assumed meat and fish jun (seasoned beef and fish fried in egg batter) were traditional Korean dishes, the local favorite is rumored to have been invented on the island, and until somewhat recently, could only be ordered in restaurants in Hawaii. Although there are now many traditional Korean eateries in Honolulu, in the mid '80s and '90s, this fast food eatery was a gateway to discovering Korean food. Ok, so this Filipino eatery’s brick and mortar site is in Waipahu (about 10mi from town), and the town location is a food truck and technically not a restaurant… but because this family-owned business brings its popular and legally trademarked dishes to Honolulu, it makes the list. 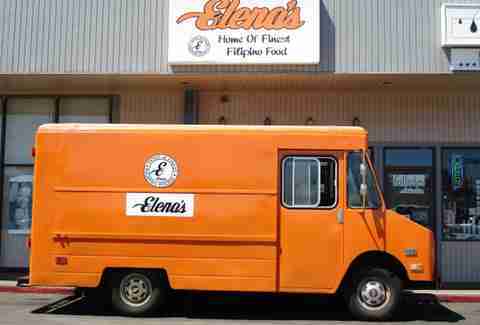 The original location has been around for 41 years, and the mobile eatery has been stationed at the airport for the last 15, wayyy before the food truck craze exploded on the island. 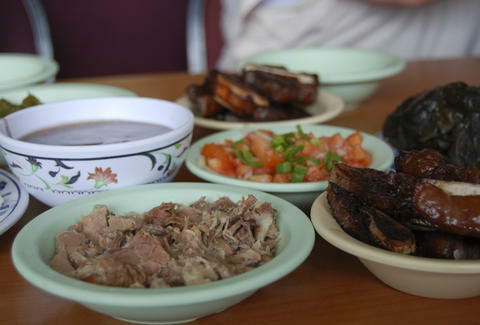 Though it’s not as popular as Chinese or Japanese food in Honolulu, the Filipino eats here consistently win local awards, so stop by the truck and find out why it's the “Home of the Finest Filipino Food”. Pronounced po-keh, and Hawaiian for “to cut crosswise,” this favorite local staple is, well, cut crosswise from fresh, raw fish or tako (octopus) into bite-sized cubes, then flavored with Asian condiments and garnishes like soy sauce, sesame oil, kimchi, or green onions. Initially launched commercially by Sam Choy in 1991, poke can now be found nearly anywhere, from grocery stores to fish markets to fine dining restaurants, but this self-proclaimed “Home of the Original Poke Bowl,” a pop-up restaurant-turned-brick and mortar, has transformed the popular appetizer into a full-fledged meal by serving poke on a bed of rice and topping it with customizable sides and sauces. The first to open a boutique ramen shop, this eatery was also one of the first to attract a slew of noodle-soup-crazed addicts, willing to wait in long lines to get their fix of chewy noodles. With ramen shops now popping up more frequently than ABC Stores (well, not quite), it’s hard to imagine that Honolulu’s ramen boom began just 10 years ago, and the debate over whose broth or pork or noodle reigns supreme has become a hot conversation starter. Before you throw your pick into the mix, stop by for spicy tantan men and taste the island’s first ramen broth. You know, for research. In the early '90s, 12 chefs came together to create Hawaiian Regional Cuisine (HRC), food that showcased locally grown ingredients as well as the islands’ multicultural ethnic styles. This group was the first to actively link local farms and fishermen, in an attempt to get away from the imported mainland products that were often found in hotel restaurant dishes. Roy Yamaguchi, one of the innovators of this local fusion cuisine, was the first Hawaiian recipient of the James Beard Award for Best Pacific Northwest Chef, just a few years after opening his first restaurant in Hawaii Kai. Spreading his brand to over 30 restaurants around the world, Roy has introduced local-inspired dishes like macadamia-nut-encrusted mekajiki and Chinese-style whole Big Island moi to the masses. 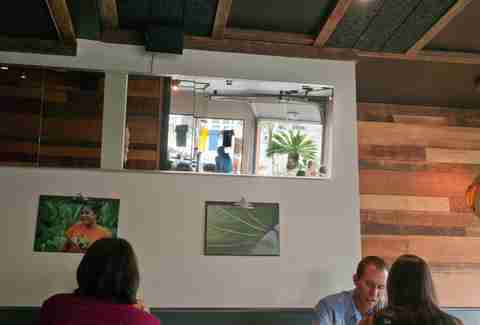 While vegan options began creeping onto menus across the island a while ago, it wasn’t until five years ago that the first local, all-vegan café opened in Honolulu. 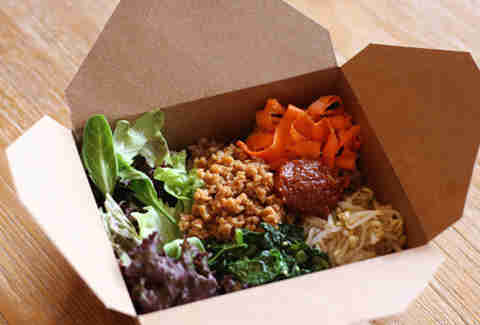 With offerings like the Hanoi (Vietnamese tofu sandwich with peanut sauce) or the Soy Soba Salad (fried tofu, sprouts, cucumber, and yuzu-infused carrots), the small eatery provides healthy local- and Asian-inspired options without sacrificing the flavor, dispelling the notion that all vegan food tastes like cardboard. Ichiriki’s Japanese nabe may have come first, but it was this cozy King Street eatery that started the Taiwanese hot pot craze. Despite the year-round humidity, people waited in ever growing lines to sit in front a giant, boiling pot of broth. The difference was soup lovers could now customize their pots by choosing their broth, then adding plates of pre-wrapped servings of vegetables, meats, or seafood balls, and selecting dipping sauces and garnishes like black bean, garlic chili, cilantro, or green onion, giving them the freedom to experiment until they’ve found exactly what they’re looking for. After dinner, when you think you can’t possibly eat another bite, out comes the complementary Taiwanese shaved ice: custard, tapioca pearl, bubbles, and fruits. Just remember to wear your stretchy pants. At this neighborhood bistro, the motto is “local first, organic whenever possible, with aloha always.” With over half of the menu’s ingredients locally sourced, this eatery has won The Nature Conservancy’s Nature’s Plate people’s award for best sustainable, farm-to table restaurant. Credited as one of the chefs to reignite Honolulu’s new wave of cooking, Ed Kenney helped modernize Hawaii Regional Cuisine. Head to this local-inspired Italian bistro and try the paiai (undiluted poi) with cured mackerel, pohole (fronds), watercress, and roasted tomato, or the cavetelli with pork sugo and Parmesan. 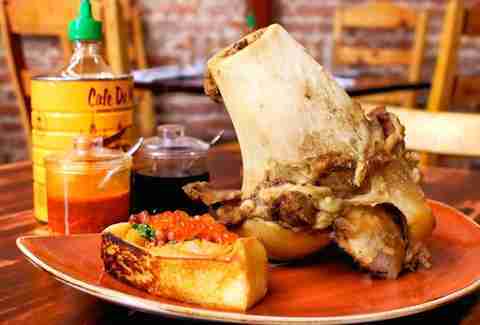 But come back often, because the menu varies daily depending on local ingredients. From farmer’s market stand, to pop-up restaurant, to permanent brick and mortar, this Vietnamese-inspired eatery blends Chef Andrew Le’s (the “Pig”) creations with Loan “Mama” Le’s (the “Lady”) home cooking to create flavors that reflect the islands’ diverse ethnic makeup. Although the permanent location opened just a year ago, this Chinatown eatery has already garnered national attention for its innovative menu, with Travel + Leisure naming it one of the pioneers of Hawaii’s new food generation. For those that prefer to avoid the long waiting list at dinner, this family-run eatery is also open for lunch and pops up at farmer’s markets three times a week. Stop by at any location and treat your taste buds to a sampling of Honolulu’s next generation of flavors.